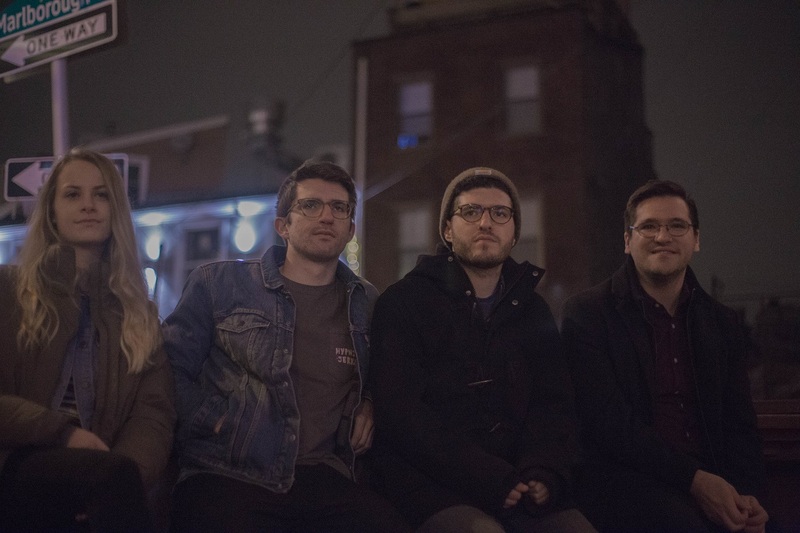 Philadelphia’s Buddie emerge with the catchy grunge-influenced “Sink,” a raw feelgood rock song about social anxiety, awkwardness, and acceptance. They’re not your friend, buddy — but they could be! From Screech to The Office’s Toby Flenderson, Milhouse Van Houten, most Michael Cera roles and beyond, our televisions and silver screens have exposed a receptive audience to dozens of lovably awkward personalities and quirky characters. While they may at times seem the outcast, they are also intimately relatable as we watch them navigate a world that’s not so different from our own. Philadelphia’s Buddie emerge today with the catchy “Sink,” a raw feelgood rock song about social anxiety, awkwardness, and acceptance that reminds us of some of millennial entertainment’s favorite awkward icons. 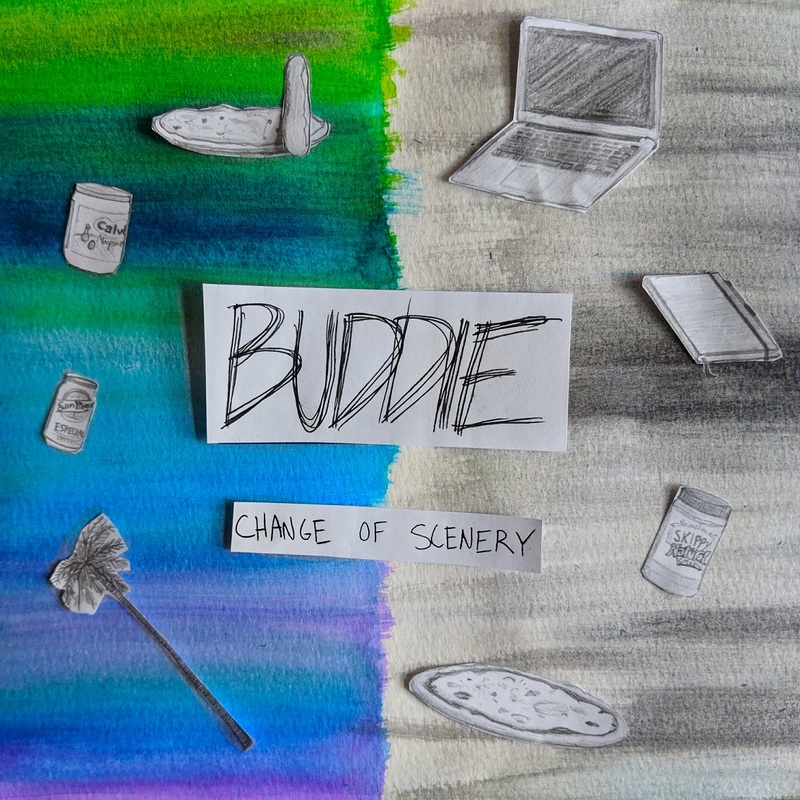 Atwood Magazine is proud to be premiering “Sink,” Buddie’s second single release and the latest song off their upcoming debut EP Change of Scenery. A four-piece band from Philadelphia fronted by Daniel Forrest, Buddie make “fuzzy, poppy, punk rock songs about life as a young adult.” Forrest was formerly a drummer for Philadelphia band TWIIN and more recently, a conservation biologist working in Bioko, a small island in Equatorial Guinea, Central Africa. Since returning to Philadelphia, Forrest has completed a permanent Buddie lineup with the recruitment of Brian Thomas (bass), Danielle Farley (guitar/vox), and David Dean (drums), and the band’s debut EP is well underway. Buddie’s music has a heavy hard rock edge, but a soft core at heart. The band’s songs are incredibly relatable for those of us with socially awkward pasts or presents, and those of us who are just trying to figure this “life” thing out day by day. 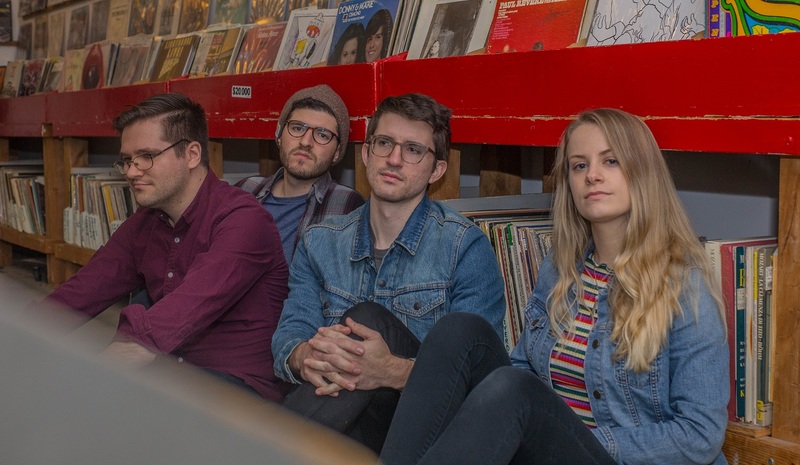 The band’s first song “Vivacious Crush” evokes their inherent joie de vivre and sonic intensity, ultimately sounding like a cross between Weezer, Nirvana, and Stone Temple Pilots (yup). It’s a chorus you’ll be repeating for days. Though he’s made a valiant attempt to break out in his most recent work, Michael Cera was for years the poster-child for awkwardness. From Arrested Development‘s George Michael Bluth to Juno’s Paulie Bleeker, Superbad‘s Evan and Scott Pilgrim vs. the World‘s title character, Cera is the perfect candidate to start Buddie’s memorable awkward chant (which, in the second verse, features That ’70s Show‘s Eric Forman, 30 Rock‘s Liz Lemon, and once again, Toby from the Office. Directed by Andrew Silverman of Bigmouth Philly, Buddie’s accompanying “Sink” music video enhances the song experience with a homegrown depiction of your classic backyard hangout – the sort of scene where, as the lyrics suggest, you go in not knowing most people and discover, once again, how hard it can be to fit in. And now I look a fool, while everyone else tries to be called cool. If we can take away anything from Buddie’s “Sink,” it’s that most of us really are just figuring things out as we go. We shouldn’t rest our laurels on first impressions, overthink things, or put too much pressure on ourselves. Quite frankly, to hell with those who can’t accept us for who we are, and open their hearts to someone who feels uncomfortable in a new setting. They’re not worth socializing with, anyhow. It’s unclear how much Buddie set out to praise our awkwardness vs. to merely express their own feelings of discomfort and self-doubt, but the result is undeniably strong: The young Philadelphia band have delivered a stellar underdog anthem in “Sink,” reminding us to accept and even embrace our most cringe-worthy, cover-your-face-in-embarrassment awkward turtle moments. Stream “Sink” exclusively on Atwood Magazine, and feel like Michael Cera. They may not be your guy, friend, but they’ll be your buddie, pal.